Welcome to the June 2018 edition of the Money Manifesto online income report. Each month I share these income reports for two reasons. First, I want to inspire others and show them what’s possible when it comes to earning income online. Second, I use these income reports to hold myself accountable for my income goals. Since I publish these reports every month, it gives me a little extra motivation to make sure I never have a month where I don’t meet my goal. Let’s take a look at what I learned about earning income online and self-employment before we dive into June’s income. I’ve been blogging for over six years now, which is kind of crazy in retrospect. Six years later, I finally learned this lesson. I need to write what people want to read. For a long time, I’ve focused on writing what I’ve found interesting or what’s going on in my life. While these things are important, too, I really need to focus on what my readers need to read about. I won’t stop writing about our lives. However, instead of focusing on us, I’ll focus on what the reader should learn while intertwining our story in that narrative. June was a pretty awesome month income wise. I earned $7,362.97 through all of my online income efforts. This blew my $5,100 per month income goal out of the water. This is pretty amazing considering I lost my biggest client at the beginning of May. While I’ll share the details below, I essentially went into major hustle mode and that hustle has paid off. Freelance writing continues to be my main source of income. After losing my largest writing client in May, I had wondered how I’d continue reaching my monthly income goals. I quickly figured out I needed to add more writing clients to offset that lost income and more. That’s exactly what I did. I hustled and pitched multiple websites for the first time in a while. Some of those websites became new clients while others didn’t. I even picked up a couple new clients through my network, which was pretty awesome. With my new clients, I’m on track to have some of my best income months ever. I should definitely be able to continue hitting my monthly $5,100 income goal in the near future with my current set of freelance writing clients. If you want to develop a regular source of freelance writing income, I highly suggest taking Holly Johnson’s Earn More Writing course. Her course teaches new writers everything they need to do to get paid for writing online. It even has plenty of insight to help experienced writers make more money freelance writing. I’ve implemented a few of her tips and they’ve more than paid for the cost of the course. You can read my review of Earn More Writing here. Traditional advertising income is my second largest source of income thanks to Mediavine. While I used to use Media.net and Adsense for my advertising, I wasn’t earning very much. As soon as I switched to Mediavine, my earnings skyrocketed. This income is passive income in the sense that my website traffic should continue whether I write a new post each week or not. However, if I abandon my site this income could eventually disappear. Still, it’s pretty sweet to get paid for the hard work you’ve put in in the past on a recurring basis. If you’re a blogger with 25,000 sessions or more per month, you need to give Mediavine a shot. It’s worth the hassle of switching. Trust me. Affiliate income is earned when I send a reader to a company and that reader buys something from that company. The company can tell I sent a reader if they click on one of my affiliate links in my posts. It’s a win-win-win situation because the reader learns about an awesome product or service, I get paid to help support my family for the effort I put into my blog and the company gets a new customer. For instance, I’m an affiliate of Republic Wireless. If you purchase a phone or SIM card through Republic Wireless’s website and start a new line of service, I get a commission. You get great cell phone service at an awesome rate and Republic Wireless gets a new customer. Affiliate income is the holy grail of online income and something I hope to increase in the future. To do so, I’ll be taking Michelle’s Making Sense of Affiliate Marketing course. I’ve heard great things about it and need to set some time aside to take it. I promise I’ll take it before the end of the year so you can hear my opinion. Branded content is when a company either pays me or gives me a product to be featured on Money Manifesto. I only accept branded content opportunities when I feel they’re a good fit for my audience. Most recently, I’ve reviewed the Nectar Mattress and Leesa Mattress on my blog. I reviewed these mattresses so I could share what I thought about buying a mattress online and whether you could save money by doing it. Check out the reviews with the links above if you’re in need of a new mattress. If you want to start earning money online, you need to get started. The first step is to start your own blog. Why a blog? It gives you a place to either build an audience or showcase your work. Starting a blog is easy if you follow my step by step guide on how to start a self-hosted WordPress blog with Siteground. Why should you use WordPress instead of a website build like Wix? WordPress is a very well known software that’s super customizable and lets you do pretty much whatever you want. Other website builders like Wix may seem easy to use, but you’ll eventually outgrow them. And why should you self-host with Siteground when you could get a free website? Free websites come with catches. Usually, they can be shut down and you can’t do anything about it. Another company is in complete control. Wouldn’t you rather be in control? When you’re self-hosted, you are. And why Siteground instead of another host? Some hosts are cheaper or promoted more often, but Siteground does a great job at what they do. They offer great hosting for new bloggers and great customer service. Some other big name hosting companies don’t offer the best hosting or customer service despite how many big bloggers promote them. You get what you pay for. 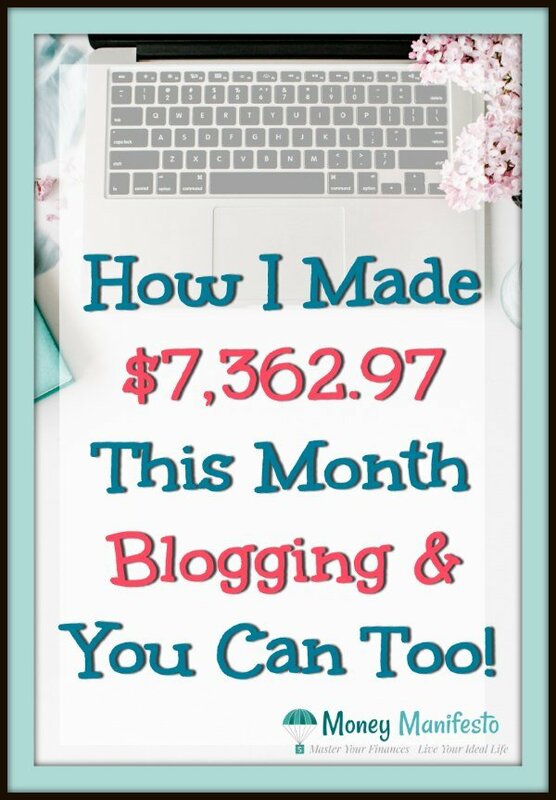 Once you start your blog, you can start building your audience or building a home for your portfolio so you can start earning money online. How awesome is that? If you have any questions about starting a blog or any step in the process, let me know through email or in the comments below. Same thing if you have any questions about my income reports. I love hearing from readers and hope to hear from you one day soon!